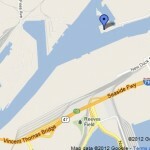 Berth 204 – Port of Los Angeles Newmarks Yacht Centre is a deep draft marina located in the Los Angeles Harbor. The Yacht Centre looks out over picturesque views of the Vincent Thomas Bridge to the South, amazing Palos Verdes sunsets in the West and the night life of Long Beach to the East. The Yacht Centre has been family owned and operated with pride since 1945. With over 60 years as a marina and broker, we can offer a world of services and amenities as well as insight, the other guys just can’t compete with. Whether you’re an occasional boater or a seasoned professional sailor, we understand your needs and are happy to meet them. Newmarks is a GREEN marina and has established themselves with the Marina Recreation Association to provide a safer and cleaner environment. The MRA, requires marinas to undergo inspections to determine what is needed to reduce pollution and improve safety practices. We are proudly associated with Flying Cloud Yachts, so with Newmarks, you’re really getting the experience and insight of two yacht experts for the price of one! This partnership has proven itself time and time again to be extremely helpful for our customers and friends. 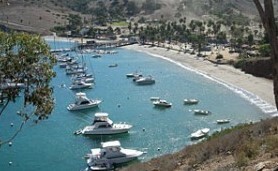 Newmarks Yacht Centre has a mooring in Two Harbors, Catalina Island in 4th of July Cove available to any of our customers. A Deep Draft Marina and More! Be Prepared – Summer Boating Safety Tips. It’s the first week of summer. Boating should be a fun, enjoyable adventure. It’s good to be prepared. Here are a few key boating safety tips to keep in mind this summer..
We have slips for rent for boaters near and far. Since the announcement in February of the San Pedro Marina closing, many boaters have relocated to other marinas including Newmarks Yacht Centre. If you’re looking for slips for rent in the LA Harbor, look no further, check out Newmarks. It’s time for the 3rd Annual BYC Wooden Boat Festival! Come one, come all and check out the some of the most beautiful wooden boats in the area. There will be boats on land and in the water at the Balboa Yacht Club’s Wooden Boat Festival. Come by and visit the Serenade!